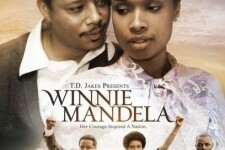 Starring Academy Award winner Jennifer Hudson ("Dreamgirls") and Academy Award nominee Terrence Howard ("Hustle & Flow"), "Winnie Mandela" is an epic story of love, sacrifice and courage. 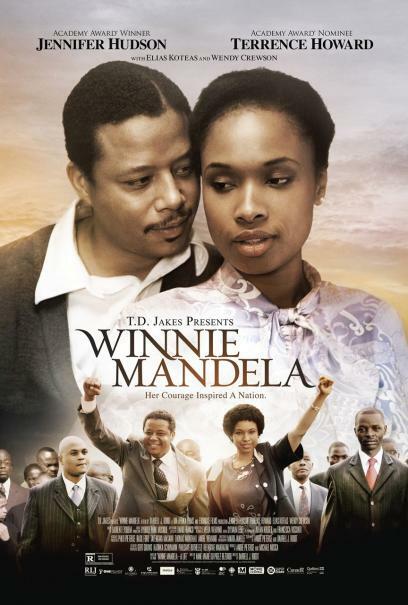 Moving from a remote tribal village to the sprawling metropolis of Johannesburg, South Africa, a proud young Winnie (Jennifer Hudson) soon found love with a rising political star, Nelson Mandela (Terrence Howard). When Nelson was imprisoned for protesting the brutal Apartheid government, Winnie worked tirelessly to win his freedom and to carry on his message of peace and equality. Her struggle to keep the Mandela dream alive was rewarded by years of persecution and imprisonment, including 18 months of solitary confinement. Throughout, her resolve to fight for her freedom, her family and her country never wavered. Her leadership and unconquerable spirit caught the attention of the world and earned her the name “the mother of the nation."